You may also want to maintain a WordPress blog and implement the write blog posts with certain keywords. That way you can use an indirect approach for bringing more traffic to your site. Many companies have great success using this strategy. This process can be the most time consuming but it’s considered the most important SEO factor after the content itself. If you have great content or if you offer great products sometimes other websites link to you without asking it. However, It doesn’t always work that way. As an alternative, guest blog post writing could work well. Paying for the links to premium related websites can be costly but gets the job done; although Google doesn’t encourage this practice it’s safe to use if the other site is legitimate. If you’re active on forums or you often comment on other websites blog posts, always make sure you have a link back to your website in the signature or the link field. Often neglected, if not done properly, how your site is built could affect negatively the overall SEO. Google takes in consideration the loading speed factor so make sure your site has optimized images for web, is built using optimized code and is not done entirely in flash. There should be only a heading1 headline on the page then using them decremental as needed, with few exceptions. 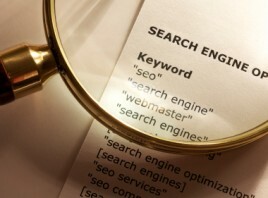 Each page should have title and description tags with the researched keywords we talked above. The images should have ALT tag filled in with the keywords, where appropriate. When HTML5 has better browser support, you can take advantage of the hgroup and microdata SEO additions, for improved results. If older versions of Internet Explorer are not relevant, you can start using those HTML5 elements now! Thank you for reading. Please leave your thoughts below. WordPress themes that come with page builders are extremely popular because they are easy to use and clients love it because they don't depend on the developer to add content or make layout changes easily. Read More..